But with the vast distances these birds move over the course of the year, it can be difficult to pinpoint the main cause for a given species —and where it’s occurring. This entry was posted in 2018 and tagged migration, study on 12 May, 2018 by Birdlife20 owner. Why have some birds opted for a taxing life of constant migration—seeking out temperate climes to feed as winter arrives, only to return months later to breed? Seemingly paradoxically, the behaviour is driven by a quest for energy efficiency, a study said Monday. Migrating birds, researchers found, gain more energy from whatever is on the destination menu than they expend getting there and back, or could find without making the trek. Why don’t they just stay in the warm place? Because there is too much competition for food with other species, said the study published in the journal Nature Ecology & Evolution. Instead, they return to their cold, northern hemisphere home where they don’t have to fight others for the food there is. The work “provides strong support for the hypothesis that birds distribute themselves in an optimal way in terms of energy,” study co-author Marius Somveille of the University of Oxford’s zoology department told AFP. While it was known that birds migrate in search of food, it has remained a puzzle why they have adopted this exacting lifestyle. The new study explains the behaviour of not only migratory birds, but also that of sedentary or “resident” ones, its authors said. These too weighed the available food against greener pastures, and came to a different conclusion. Most resident birds are found in the tropics, where food is easier to get by. 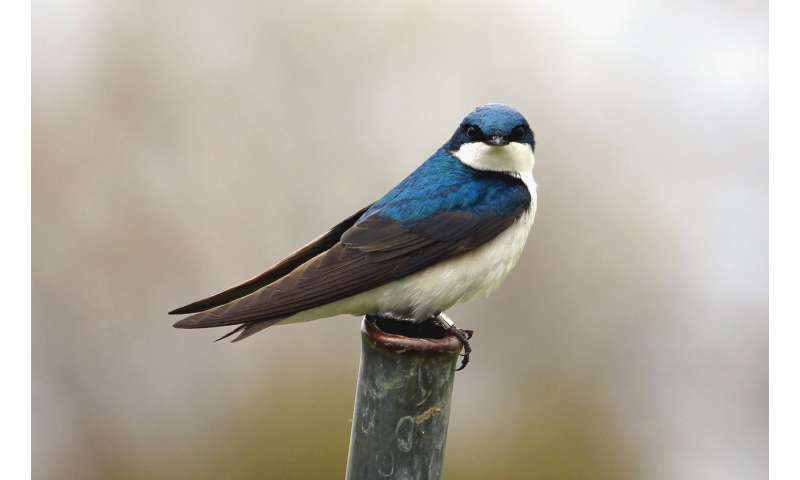 The study used a theoretical model to examine why birds migrate—about 15 percent of the total—while others do not. It started with a model world with similar climatic differences between regions than our real one. The researchers then added virtual birds, and the estimated amount of “energy”, or food, available in different regions. Given these inputs, the model birds dispersed very similarly to what happened in real life. The birds started off in the food-rich tropics, but growing competition forced some to start moving further afield. “In our increasingly crowded virtual world, species progressively started exploiting more extreme pockets of seasonally available energy supply, often migrating longer distances,” the team wrote. The model adds to our understanding of how Earth’s plants and animals came to be distributed as they are, the researchers added. It could also be useful in predicting the future movements of other animals—to determine how they might migrate in response to global warming, for example. While a postdoctoral researcher at Woods Hole Oceanographic Institution, Polito and his colleagues conducted high-resolution forensic analyses of the chemical composition of the feathers using a technique called compound-specific stable isotope analysis of amino acids. The scientists were able to identify the unique chemical signatures of penguin’s wintering areas in the ocean based on the coordinates from the tags and the data from the feather analyses. From this understanding, they were able to deduce where the other penguins that had not been tagged went over the winter based solely on the analyses of their tail feathers. Knowing where and how Antarctic penguins, and other seabirds and marine predators, migrate is critical for conservation efforts. Although electronic tracking devices have helped scientists track marine animals’ migration patterns, the devices can be expensive, invasive for the animal and challenging to retrieve. Scientists have discovered a new and potentially better way to track where penguins go over the winter using forensics. “You can say, penguins ‘are where they eat,’ because a geochemical signature of their wintering area is imprinted into their feathers,” said LSU Department of Oceanography & Coastal Sciences Assistant Professor Michael Polito, the lead author of this study that will be published Aug. 9 in Biology Letters. 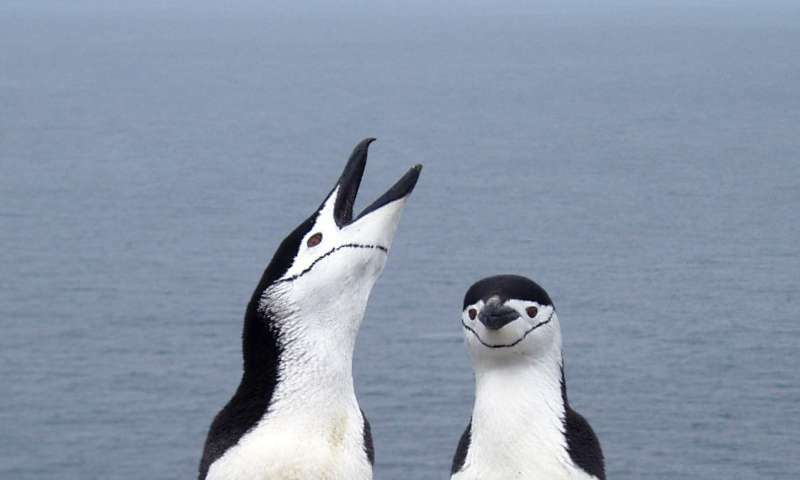 Chinstrap and Adélie penguins are part of the family of “brush-tailed” penguins named after their approximately 15-inch long, stiff tail feathers. These birds shed all of their feathers after each breeding season and before they migrate to their oceanic wintering grounds. However, their long tail feathers continue to grow well into the winter when penguins are at sea. Polito and his collaborators from NOAA Southwest Fisheries Science Center, Oxford University and the Instituto Antártico Argentino attached tags to 52 adult Chinstrap and Adélie penguins at their breeding colonies and retrieved the tags the following breeding season to determine where the birds went over the winter. When they retrieved these tags, the researchers also took a tail feather grown over the winter from each tracked penguin and from 60 other penguins that had not been tagged. This entry was posted in 2017, International and tagged arctic, migration, research on 10 Aug, 2017 by Birdlife20 owner. les and organs in a process that is not well understood, says eco-physiologist Alexander Gerson at the University of Massachusetts Amherst. Now he has received a three-year, $756,000 National Science Foundation grant to thoroughly investigate the consequences and mechanisms of this phenomenon, which sometimes leads to dramatic reductions in migrating birds’ muscle mass and organs but may not result in significant loss of function. 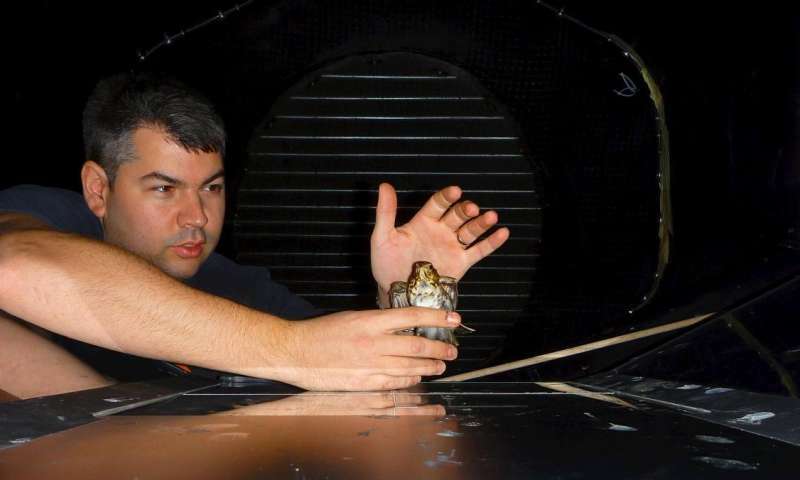 Gerson says this study will use two ultra-specialized tools not available to most researchers: a field-portable quantitative magnetic resonance imaging (QMRI) machine, and a wind tunnel specifically designed to study long duration flight in birds, one of just three in world, located at the Advanced Facility for Avian Research at Western University in London, Ontario. The experimental series will look at body fat, lean mass and water content in one larger species, Swainson’s thrush, and one smaller, the yellow-rumped warbler, in the field and in wild birds flying in the climate-controlled wind tunnel. There, researchers can manipulate such factors as humidity and temperature to study the amount of water lost to respiration. This is relevant to climate change, Gerson notes, because flying in warmer air means more protein and water loss. His research team will also look at water-loss rates in non-flight conditions, at rest, and look for differences among migrants and non-migrants. Further, Gerson and colleagues will conduct metabolic phenotyping and use transcriptomics to explore molecular mechanisms of protein breakdown and regeneration with UMass Amherst molecular biologists Courtney Babbitt and Larry Schwartz. Gerson intends to engage many undergraduate and graduate students from diverse backgrounds in the research, training them in a range of cutting-edge techniques applicable to many science, technology, engineering and mathematics (STEM) fields. They will in turn develop and implement science communication and outreach programs for middle school students in a local low-income school district yet to be determined. This entry was posted in 2017, International, X and tagged migration, research on 16 Jul, 2017 by Birdlife20 owner. Influences outside the breeding season can matter a lot for the population health of migratory birds, but it’s tough to track what happens once species scatter across South America for the winter months. A study from The Condor: Ornithological Applications tries a new approach for determining what declining migratory grassland birds called Bobolinks eat after they head south for the winter—analyzing the carbon compounds in their plumage, which are determined by the types of plants the birds consume while growing their feathers during their winter molt. Thanks to a quirk of photosynthesis, rice contains a different ratio of carbon isotopes than most of the native grasses in South America where Bobolinks winter. Rosalind Renfrew of the Vermont Center for Ecostudies and her colleagues took advantage of this, collecting feather samples from wintering Bobolinks in a rice-producing region and a grassland region and from breeding Bobolinks in North America. 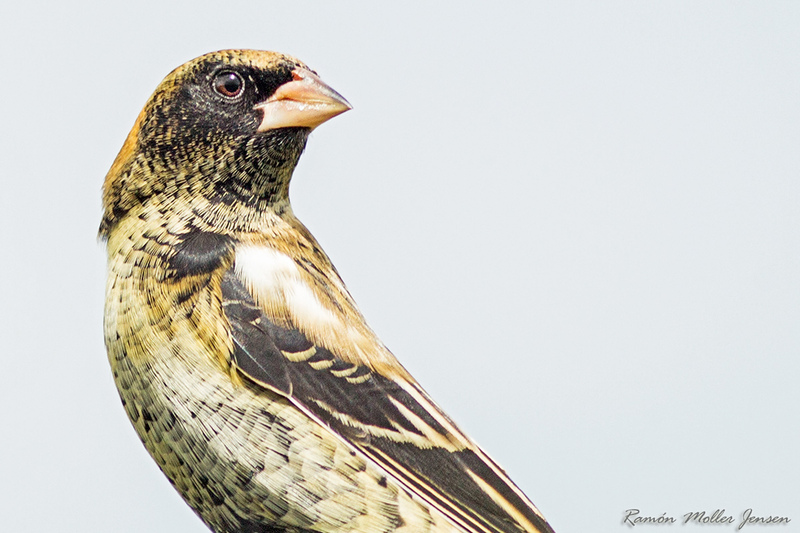 When they analyzed the feathers’ isotopes ratios, the results from South America confirmed that isotopes in Bobolinks’ feathers reflected the differences in their diets between regions with and without rice production. The samples taken in North America showed that the winter diet of most individuals was weighted more toward non-rice material, but that rice consumption was highest late in the winter, when rice is nearing harvest and the birds are preparing for their northbound migration. 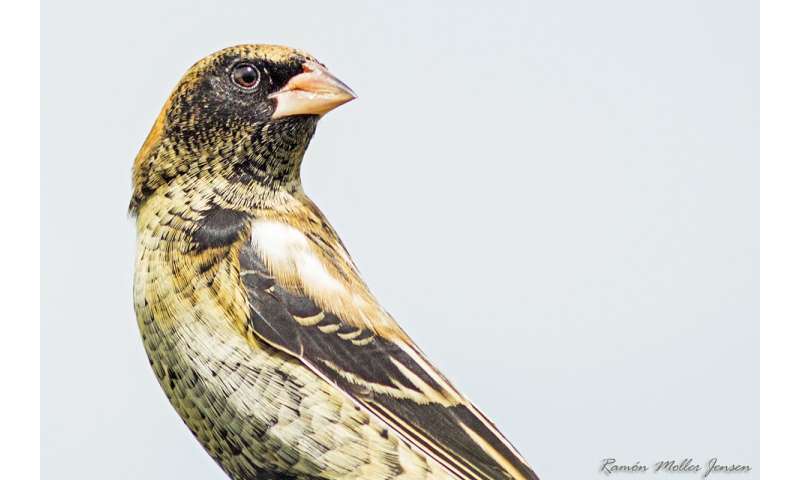 “As Bobolink populations continue to decline, Renfrew and her colleagues use state-of-the-art isotope analysis techniques to assess the Bobolink’s diet on its South American wintering grounds,” according to John McCracken of Bird Studies Canada, an expert on grassland bird conservation who was not involved with the study. “The authors conclude that rice may have negative effects on Bobolinks, owing to its relatively low nutritional quality and from exposure to insecticides. This entry was posted in X and tagged foraging, migration, study on 26 Jun, 2017 by Birdlife20 owner. Although migration is an adaptive behaviour in a wide range of animals1,2,3, it is also thought to impose significant costs on individuals4. 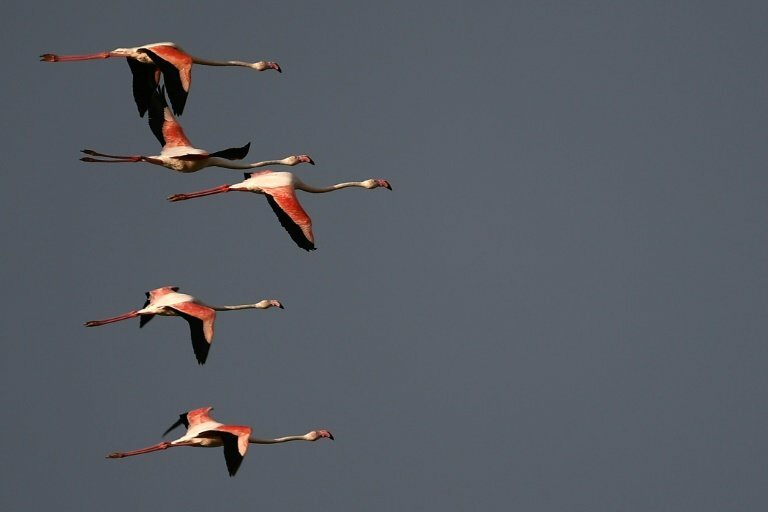 Studies on various migratory birds5,6,7, mammals8 and fish9 provide evidence that mortality can be higher during migration than during stationary periods of the annual cycle. In addition, work on birds10, 11 and insects12 indicates that migrating individuals often undergo significant metabolic and behavioural adjustments to fulfil the high energetic demands of migration. 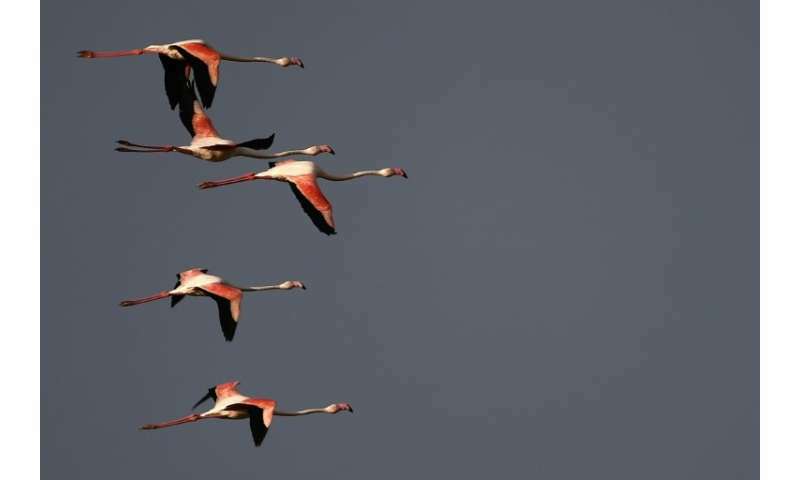 Time spent and energy used during migration can also determine subsequent breeding success10, 12,13,14,15, emphasizing the high costs that individuals pay when migrating. Because migration is costly, migratory organisms are expected to maximize their fitness behaviourally via minimizing either the time spent, energy consumed, or the risks incurred during migratory journeys16, 17. In terms of time, the highest cost of migration is generally thought to be experienced during stopovers rather than during periods of flight18, 19, and birds rely on the time spent at stopover sites to rest and refuel for the next leg of their journeys20. Optimal migration theory provides a framework to study stopover behaviour and its consequences by testing whether migrants are time- or energy-minimizers using data on fuelling rate, stopover duration, fuel loads and potential flight ranges17. Individuals attempting to minimize the overall time spent on migration are expected to maximize the amount of fuel they can acquire at each stopover in the shortest time possible. A key consequence of this strategy is that it maximizes the distance that can be flown between stopovers18, 21. Consequently, the fuel loads (amount of fat carried) of a time-minimizer should be tightly linked to local conditions at stopover sites as well as to the conditions expected ahead because these conditions influence fuelling rates18, 21. Furthermore, stopover durations in time-minimizers are expected to have been shaped by or to respond directly to experienced fuelling conditions17, 18. Larger departure fuel loads should allow for longer flights and a faster overall pace of migration because individuals acquiring sufficient fuel in the shortest time possible will need to make fewer stopovers and be able to take more direct routes to their destination, including being able to fly over physical barriers or large areas of unsuitable habitat such as deserts or oceans rather than circumventing these areas22. This entry was posted in 2017, International, X and tagged migration, songbirds, strategy on 18 Jun, 2017 by Birdlife20 owner.